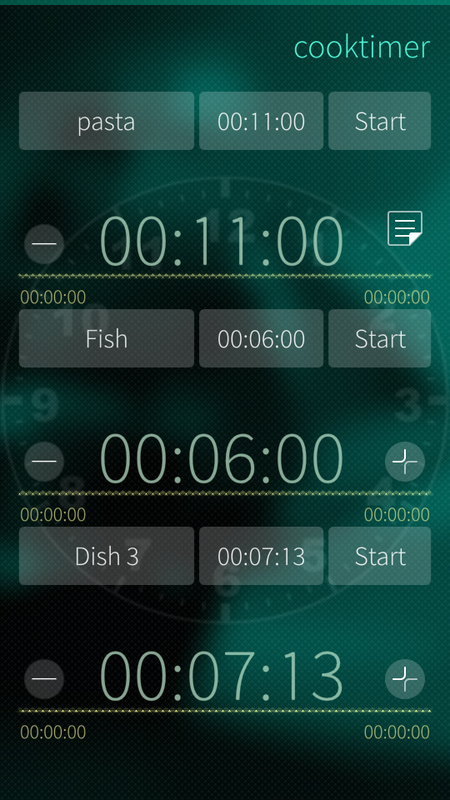 Timer app offering 3 timers, inspired by my Maemo 5 (Fremantle) cooktimer creation. Supports hours/minutes/seconds. 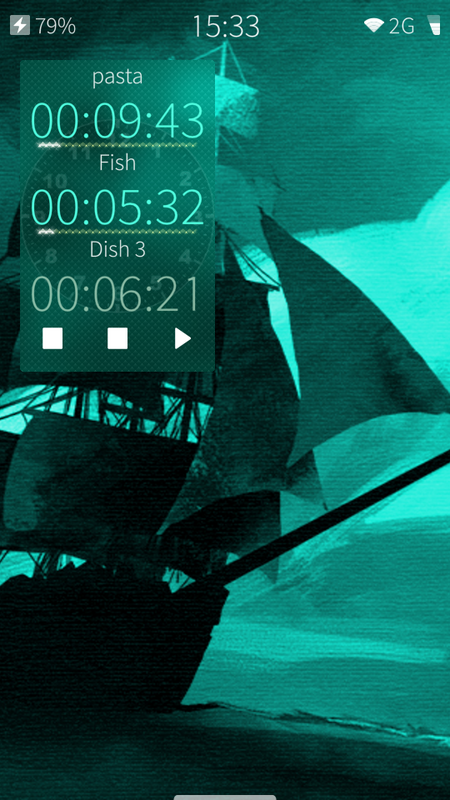 Alarms are displayed via the default Sailfish alarm screen. Notes can be added. Reused some code from harbour-kitchentimer by tanghus and TabaTimer from nightmare. 0.2-9 Added Hungarian by Szabó G.
That would mean a big design overhaul. If you prefer an analog clock perhaps kitchen-timer is an option. Happy new year to you too! Some parts indeed lost their translation, that happend to all languages (thanks for noticing). I did a fresh pull from Transifex, now all seems fine. May one request a feature? I would like to prevent adding more info on the main screen. As an alternative, I was considering some popup with free text by longpressing an existing button. Will give it more thought. Ok, thanks. A popup would be great. 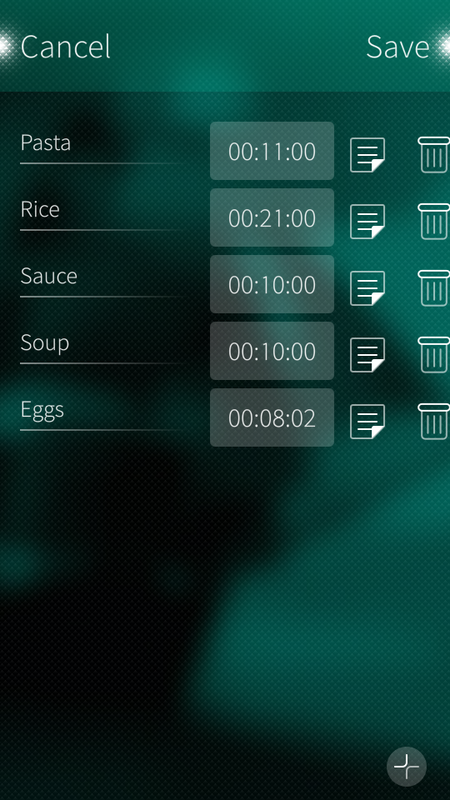 Following "edit dishes" you can now enter text (max 4 lines) for a dish. Once the dish is selected, a note symbol will appear. Clicking on it will show a panel with the text. In your case, you can put oven temperatures there. 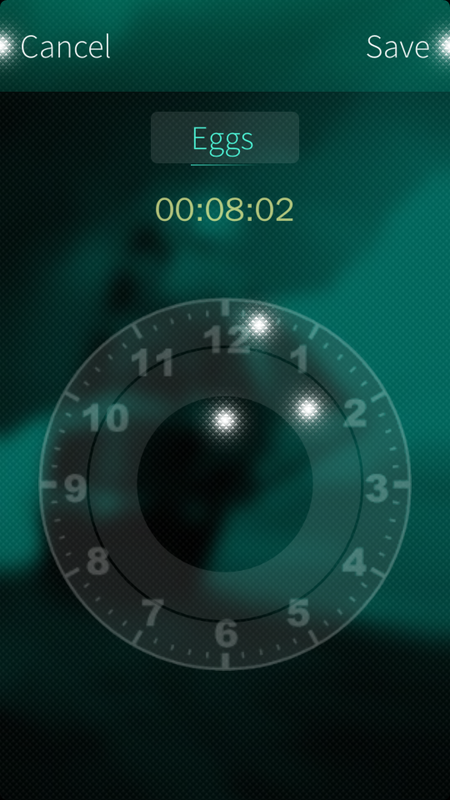 What does this do better than the clock app's timers? Can't say what's better. In the end it will come down to personal use/preferences/taste. Why is there a 20 saved dishes limitation? Could it be removed? I love this app, but I'm also a passionate cook, so it would be very usefull to have unlimited dishes. The idea was to prevent too much items which could impact performance in a negative way. My amount of dishes is about 17, so that is also reaching this limit. I removed the limit in the latest upload. Een oefening van 20 minuten, met een start van 5 minuten en daarna nog een kwartier. Ik heb het opgelost door twee timers tegelijk te starten, dat werkte prima. Mijn voorkeur is slechts een tussensignaal, zonder het alarm uit te hoeven zetten. En ik zit er vlak naast, dus bij het eindsignaal heb ik ook genoeg aan een piepje. Dus zou een van de Settings kunnen zijn dat een signaal slechts 1 x klinkt, of slechts 20 seconden klinkt? Een andere optie is een tussensignaal aan een gerecht hangen, bijvoorbeeld bij brood 5 minuten na de start de stoombak uit de oven halen. er zijn diverse workout apps, zoals TabaTimer. Mogelijk zijn die geschikter voor trainingsprogramma's? In mijn N900 versie van cooktimer kun je wel tussen-alarmen zetten, maar die optie zit inderdaad niet in de SFOS versie. Momenteel gebruik voor een alarm het "standaard" Jolla alarm scherm, waar ik weinig tot niets aan kan tweaken. Later wil ik hier wel verder naar kijken, want dat zal een flinke klus zijn. Momenteel ben ik met landscape support bezig, wat mij voor de toekomstige tablet versie wel wenselijk lijkt. Great app! I'm using it every morning for cooking my tea! Any chance of native language support? Native language support could be added. I included it in my N900 Fremantle version, but there was no real interest in translating. So I am a bit in doubt to include it again (especially because my own native language is not officially supported). For starters I will make the relevant strings itself translatable. Ok, thanks! I think there is quite a lot of interest in translating apps on Sailfish platform. I've translated many of them my self, and of cource I'll translate cooktimer into Swedish, as soon as possible. And thanks for the earlier positive comments BTW. Love the update and thanks for adding cover view :D Going to bake a cake now! Turns out there are deep sleep issues, but not noticed by me, because I do a "echo whatever > /sys/power/wake_lock" at startup of the device to prevent deep sleep. It is hopefully fixed in a new release, but I will do more testing afterwards. Found the app quite usefull. Good layout and works well.